There have been multiple sightings of strange triangular crafts in the Himalayan region, around the Sino-Indian border close to places inhabited by a sparse population of villagers who have never seen such magnificent flying machines with bright multi-colored lights mostly Red, Green & Blue. 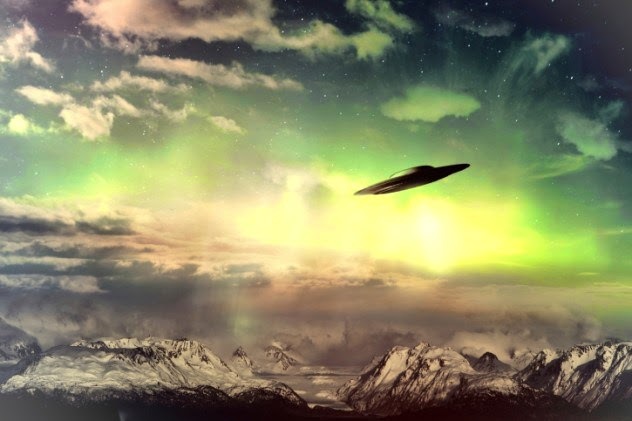 Mountain villagers in the Tarai region of India's Himachal Pradesh state claim that UFOs have been seen "by day and by night" near the high-altitude glaciers of the Himalayas and that "aliens are building a very large underground base up there." Since Sunday, October 10, 2004, UFOs, ranging in size from "very large cylindrical objects of a dull silver colour" to "small speedy discs," have been seen over the glaciers north of Chini, about 40 kilometers (25 miles) from India's border with China. UFOs seen at night were said to "glow red and gold." "More Indian military personnel and local natives are coming forward in the Himalayas' Tarai area and are reporting many exceedingly abnormal activities and UFO sightings all around the clock." "Some (Indian) helicopter pilots are complaining about sophisticated jamming." "A young boy in Nepal drew a picture of what appears to be an extraterrestrial flying object. He saw it while playing with many friends on the ground. The boys reported that these vehicles have no sound, can take off vertically, and can float in defiance of gravity. These vehicles can disappear all of a sudden," reported Sumit Chatterjee. "Some of the IAF (Indian Air Force--J.T.) pilots are continually reporting seeing strange flying objects in the Himalayas near the Chinese border." "A Tibetan (Buddhist) monk who recently visited India said these activities have been going on since 1998." "According to a scientist of the Indian Geological Survey, UFOs and strange beings are visiting a 100-square- kilometer portion of the Tarai. Visits have occurred frequently during the past 18 months. The northeastern region of Himachal Pradesh has experienced many varied sightings." Chatterjee added, "Among the local people is a rumour that 'they' will land here in the next seven years. 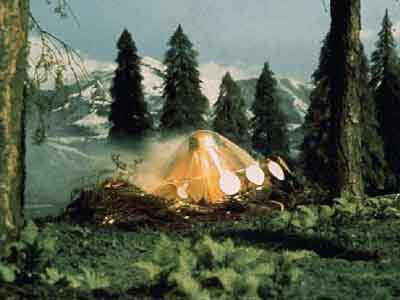 Some Indian ufologists say that beings from Sirius will land on Earth and publicly reveal themselves in 2012." "Is this the final prophecy of the landing that the Mayans predicted centuries ago?" "The military personnel are talking privately but maintain that for national security reasons nothing more can be said. But at least one of the officers has come out and said bluntly that these are UFOs." "There are many indications that a large underground base is now being built within the hard andesite (bedrock) of the high Himalayas. The construction is going on in the high terrain close to the No Man's Land between India and China." "Another interesting thing--increased Indian and Chinese army activity has been seen in the region." But the strangest report comes from the Chinese side of the border. A Chinese armored brigade, outfitted with T-80 main battle tanks, was ordered to proceed to the border from the People's Liberation Army (PLA) base in Niuke. But when the tanks got to Zhada, they got a real surprise. "Recently an artificial lake was created in China" west of Zhada, "very close to the Indian border. "The lake" filled the Langchui River (called the Sutlej River on the Indian side--J.T.) valley and "threatened to flood the Indian side. India and China both refused to investigate the incident. Then, all of a sudden, the local Chinese people reported that the lake was no longer there. Whatever remained of the lake was no longer a threat to the Indian villagers. What really happened?" Chatterjee asked, "What caused an artificial lake of this size? And who took care of removing the problem?" "It appears that the aliens melted a glacier and created the temporary lake to prevent those Chinese tanks from reaching the border," said Krishnari Bai Dharapurnanda, a UFO Roundup correspondent in India. "There are many rumours at the Indian Space Research Organisaton (ISRO). They say these UFOs are definitely planning and building a fortress in the Himalayas for a purpose known only to the aliens themselves." In China, UFO Roundup correspondent Chen Jilin reported, "No news is coming out of the Langchui Valley. It is a military region with very tight security. But the rumour is, the Extraterrestrials are active in the region with the collusion of the (Chinese Communist) Party and New Delhi, to ward off an attack from the Anglo-Americans and the Israelis." Many thanks to Sumit Chatterjee, Krishnari Bai Dharapurnanda and Chen Jilin for this news story. Terrence Mckenna : What do you get if you cross a UFO with an Onion ? A UFO which brings tears to your eyes ! g8 collection mate.I've been interested in this topic for quite some time and this website has me hooked. Friends, for a better understanding of our "Alien Connections", I suggest you should read William Bramley's THE GODS OF EDEN. THANK U VERY MUCH. LOVE. ... coming soon to your town !